Here is second part of my rasmalai adventure. Along with my so call rasmalai I have also made Jeera Rice from Vani’s blog and modified Shahi Panner to Shahi Alu Gobhi ie replace paneer with Potato, Cauliflower and peas. But this time Jeera Rice & shahi alu gobhi was yummy. 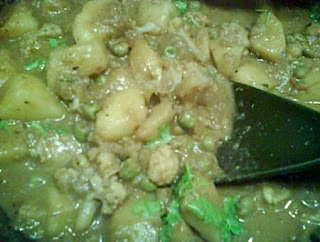 Especially the Alu gobhi gravy was very nice and made a very good combo with jeera rice. Thanks Priyanka for the comments. jeera rice and alu gobi, nice combo. will prepare this weekend. Jeera Rice and Alu Gobhi looks nice. 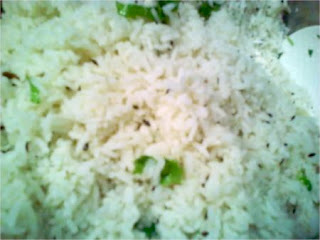 Priti, now I have to try this jeera rice, which you and Sireesha have posted. I have tasted it before and I love it absolutely! Mouth-drooling combo, look goooood. Great entry!!!! I love all of this so much! Thanks Shreya, Get Well Soon dear. Indra sure try and enlight us how did it turn up. Hey Valar thanks for visiting my blog. Purva thanks for the compliment and for stopping by. I love all this too Jeena. Thanks for accepting my entry. Another tag coming ur way...magic lamp of luck! My father is a huge fan of Alu Gobhi with jeera rice and I always try to make one for him whenever we see my parents. He has yet to be fully blown away by any of the recipes i've tried. Simplicity is key, and yours looks perfect! Can't wait to try it.thank you for shearing your post.